This month’s Cricut Design Space Star challenge was for us to create items for organization/celebrations. My team went with “Falling for Fall” for our theme. 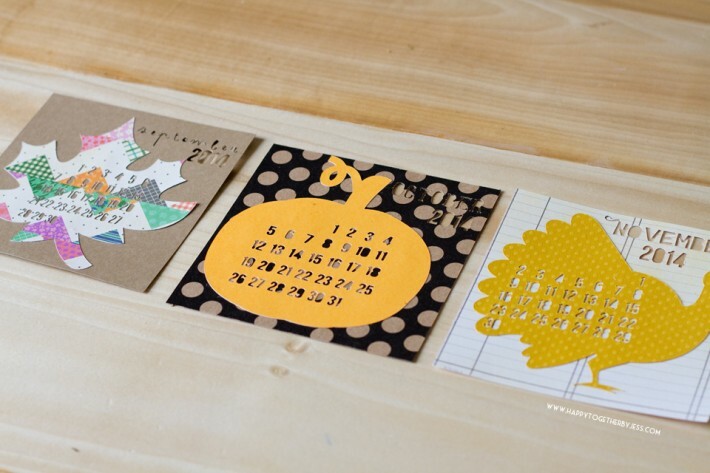 I created two projects to enter this time again with this desktop calendar falling into the organization category. I have been seeing small desktop calendars growing in popularity and wanted to create my own. I logged into Cricut Design Space™ and started creating. Using cardstock paper, I made each months square equal 5″x5″ which I felt was a good size. Then I picked out a shape/picture for each month. September got a leaf, October got a pumpkin, and November got a turkey. I simply glued these on with a glue stick. The month numbers are big enough that they can still be striked through with a pen or even covered with a small sticker to show that day has passed. I used a piece of wood from our garage for the stand and simply cut a small slit in the top center for the paper to stand in. It would be cute to use a piece of a log for this as well. It’s a very inexpensive project, but looks so nice and professional. I think it would also make a great gift. It would be fun coming up with different things for each month of the year. Cricut has just announced the second phase of the Cricut – I Made It! contest and this time they’re awarding one winner their own Make it Now™ project line to be sold in Cricut Design Space™! 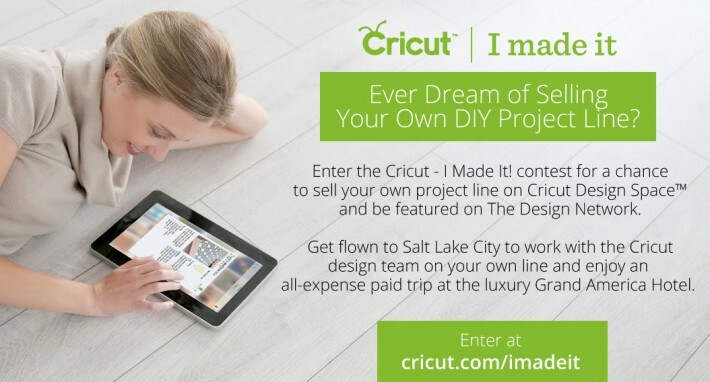 To help create your line, Cricut will fly you to their headquarters in Salt Lake City to work side-by-side with their design team. Then you and a guest will enjoy an all-expense paid stay at the Grand America Hotel – a luxury resort in Salt Lake City, home to the best skiing in the world. The winner will be featured on Cricut.com and every time a Cricut user purchases your project, you’ll earn money. Cricut will even help with your publicity. To enter the Cricut – I Made It! contest, all you need is a photo of an original project. You can upload up to five photos (which can be five individual projects or multiple photos of one project). You have until September 30th to enter. What are you waiting for? It’s time you Made It big! Head to cricut.com to enter today. You can also see what my fellow teammates have been creating as well 🙂 It’s so fun seeing everyone’s creativity! Follow Jessica Fediw’s board Cricut Design Space Star Team 8 on Pinterest. Disclosure: I am part of the Cricut Blogger Network and have used affiliate links. I received a complimentary machine to facilitate my crafts and though I am not being paid for this post, I am submitting it for a chance to win some fun prizes.